Click here for Quicktime or watch in full screen HD on the Vimeo Player below. The games continue! Shot on the T2i. 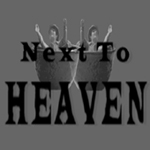 Game Video 3 from nexttoheaven on Vimeo. A day off from work – out roaming the streets – say cheese little drink!